Many SEO content writers undermine the importance improving their skills unless and until someone specifically points out the inherent issues in their writing consistently over a period of time. Many SEO content writers undermine the importance of improving their skills unless and until someone specifically points out the inherent issues in their writing consistently over a period of time. It’s not possible to find freelancers who can take care of everything. They make mistakes over and over again. It depends on whether they are doing anything to improve their writing on a daily basis. If they are simply using all their times in completing projects, then they are leaving very little scope for self improvement. Unfortunately, many writers fall in this trap and undermine the importance improving their skills unless and until someone specifically points out the inherent issues in their writing consistently over a period of time. On another note, web content writing is not only limited to writing content with proper grammar – it’s much more than that. Writing an article is essentially all about addressing queries of your prospective readers. Therefore, the writer must have the intention to “address” the queries of the readers to begin with. This is where the research becomes helpful. I would rather write one exhaustive article in 2000 words that fully addresses the queries of my readers than write 4 articles that don’t really serve any purpose. Let me put it this way – not all 2000-word articles are informative and research-driven, but it’s usually true the other way round. But it’s not even about the word count. Unless one has the intention to conduct an in-depth research on the topic and tries to capture all aspects of a topic one’s article, it doesn’t make any sense. Research oriented articles usually contain references to authority websites which offer credence to the information. It does take time to write a research-oriented article but that makes perfect sense. Research oriented articles contain links, images, infographics and even videos to make the presentation interactive and fun to read. Write to engage your audience. The writer should have a sense of SEO while writing the content. A good SEO copy is not about keyword stuffing – it’s about knowing where to place the keywords (and its semantic alternatives) that blend naturally with the text. Ideally, articles should have more than just one keyword. Finally, the quality of grammar, vocabulary, flow and presentation matter a lot. If the readers are educated enough and they find the opening paragraph has basic grammar issues, the copy will lose its credibility straight away and the readers will simply ignore the copy. Be careful about the use of commas. 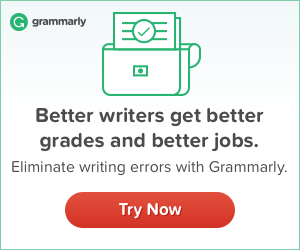 Many writers undermine the importance of commas, which creates confusion for the readers. Even, Google would not value a copy much if it has grammar issues. It’s one of the 200 signals Google takes into account before evaluating the quality of a copy. There’s a great tool for measuring the quality of your content called Atomic Reach. It helps you measure the quality of your unpublished content based off a number of parameters and then suggests ways to improve upon those areas so you can achieve the highest possible quality for your content.